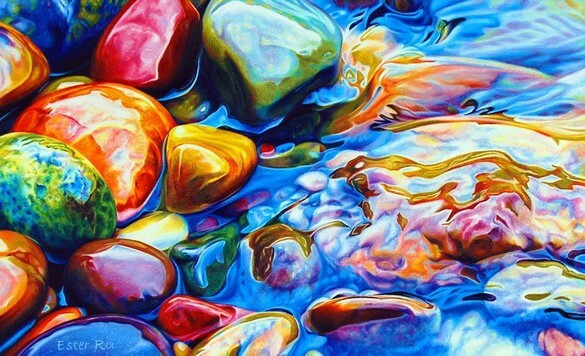 California artist Ester Roi works colored pencils to create drawings of imagined riverbeds that exhibit a superb understanding of the interaction between light, color and water. 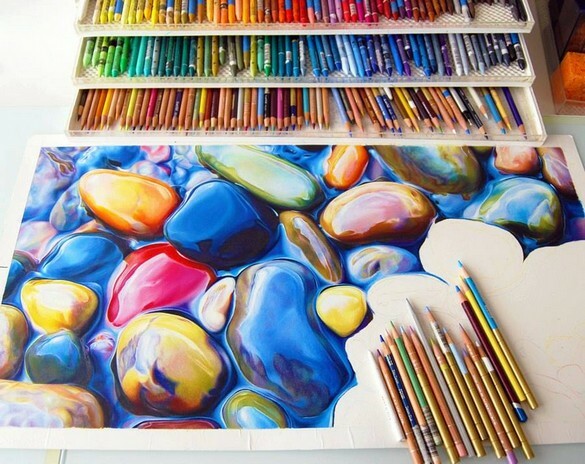 Roi uses a special drawing device called the Icarus Drawing Board that allows her to effectively create warm and cool “zones” underneath a wax-based medium. 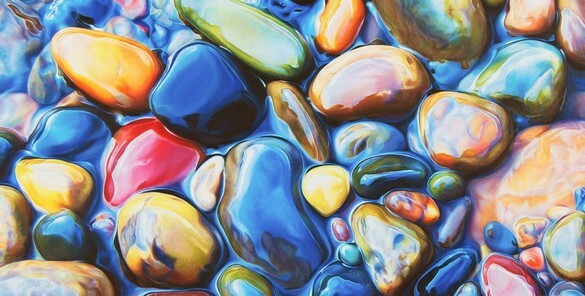 According to her “the warm zone is used for mixing pigments, blending, burnishing and reworking. The cool zone is used for line drawing, layering, detailing and finishing touches.” The careful layering of pencil and wax apparently allows for some pretty brilliant color work.